Along with writing reviews on blogs, holding a blog giveaway is another great way to keep your audience engaged and perhaps even draw in more readers and followers. Giveaways on blogs are very popular now, especially since they offer multiple chances to win free items, from gift cards to vacation packages. In fact, many blogs are simply focusing on giveaways since they tend to bring in the most traffic from people looking for free items. Hosting a giveaway on your blog can seem a bit challenging, especially when it's the first attempt you've made at giving a prize away online. Here you'll find the steps you should take when hosting a giveaway, plus helpful tips about choosing the prize, working with other bloggers, using a giveaway widget, and writing disclosure notices. The first thing you need to decide is what you are going to give away as your prize. Keep in mind that the prize should fit with the theme of your blog; giving away a prize that is of no interest to your audience defeats the purpose of keeping that audience engaged. Will the prize be self-sponsored? If you are a small blog just starting out, you could make a small investment and buy a prize that you can then give away on your blog. Will the prize be sponsored by a company? Companies enjoy the exposure their products or services get from blogs, so they often reach out to blogs with an opportunity to give away a free product or service in exchange for some free advertisement. Of course, if you are a small blog, you may have to reach out to the companies yourself, offering them backlinks to their website and social media pages along with advertisements in exchange for a free product to giveaway. Will the post be a review and a giveaway? If yes, then you should choose a prize that is something that you can use in your own life and be able to give an honest opinion about. Shipment of the prize is something you need to think about once you have chosen a prize to giveaway. If you are self-sponsoring the giveaway, you are responsible for the shipment of the prize and you should not charge the winner of the giveaway any shipping and handling fees. If a company is sponsoring the giveaway, it should be responsible for the shipment of the prize and it too should not charge anything extra. These are some prize giveaway ideas. 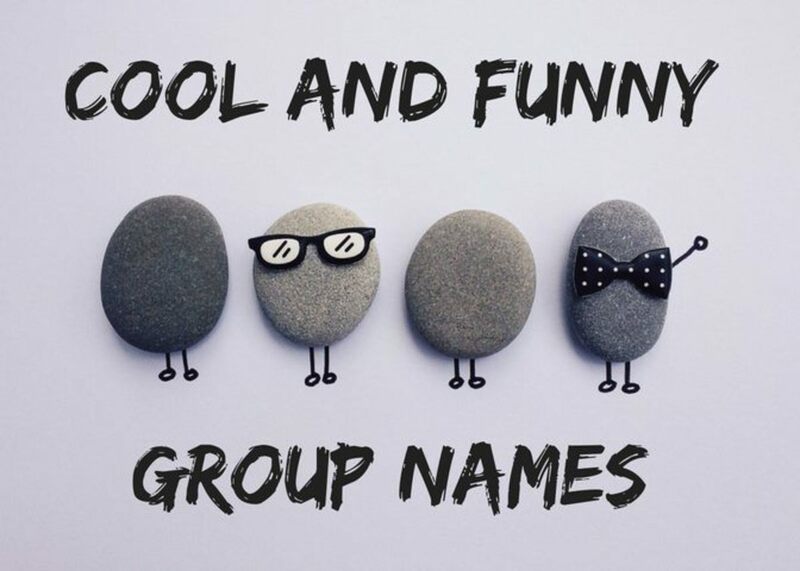 Choose the ones that go along with the theme of your blog. If you search for 'blogger opportunities' or 'blogger opps' on search engines or social media sites, you'll find other bloggers looking for people to join them in their giveaway efforts. Many of these bloggers offer free links on giveaways to others who post about and promote the giveaway while also offering paid spots to either co-host or host a giveaway. You can do this as well, but you should consider what the prize is first to determine how many other bloggers you'd want to include and for how much. For smaller, less expensive prizes, you may want to consider just offering a few free links to just a few other bloggers. For a bigger, more expensive prize, especially one that you choose to pay for yourself, you may want to open the giveaway options up to many more bloggers, mostly to those who would want to pay to be a co-host or have additional links. Self-Hosted Giveaway. Your blog and your blog only will be responsible for the giveaway. No one else is involved. Self-hosted giveaways are usually for small prizes (unless you are a high-performing blog that is sponsored by a company or can afford a larger prize). Your blog is responsible for getting the word out and reminding readers to enter. Joint Giveaway. 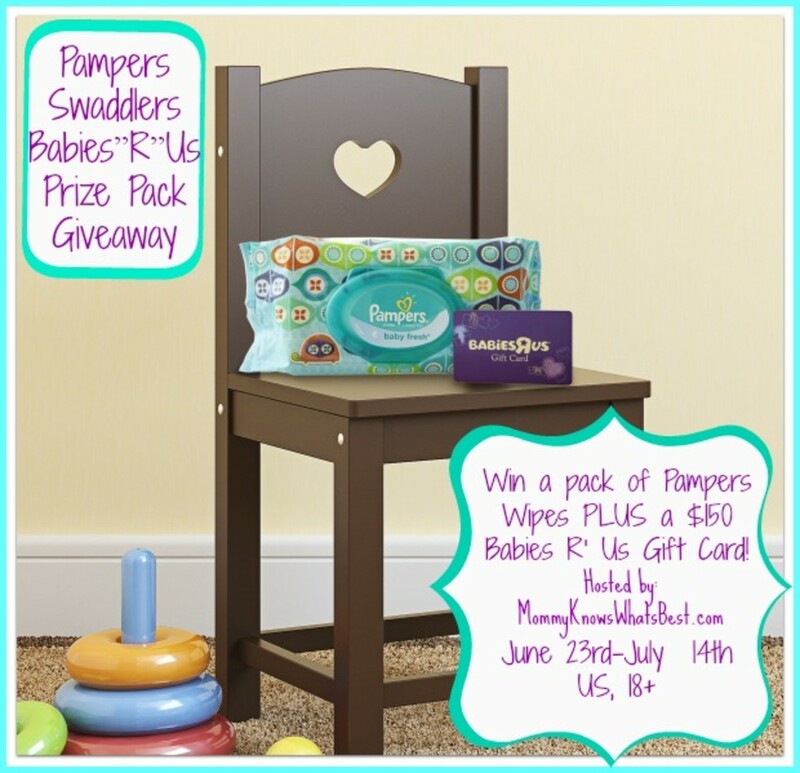 Your blog plus a few other blogs join together to host a giveaway. Other blogs can pay to join the giveaway opportunity. The money either goes towards the prize or upkeep of the main blog. There is usually a big prize or multiple prizes that can be won. Each blog has a 'host' page, which directs their reader to a giveaway widget or other task to complete. They are also all responsible for getting the word out about the giveaway and reminding readers to enter. The last option can also expand to include even more bloggers who announce the giveaway in exchange for free or paid links, but are only included on the giveaway widgets and are not considered hosts or co-hosts. 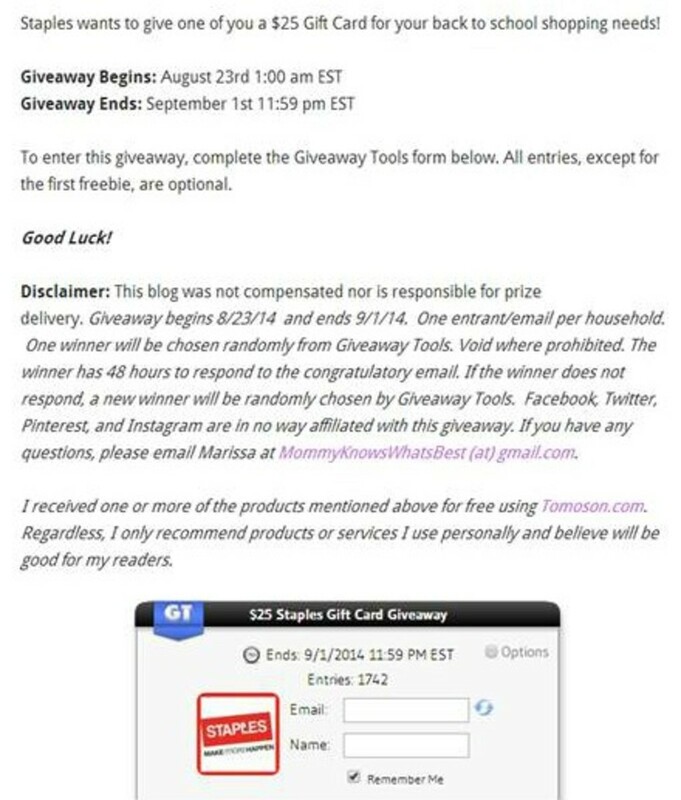 These additional blogs basically serve as additional advertisements to get the word out about the giveaway. How you go about hosting a giveaway really depends on your connections. 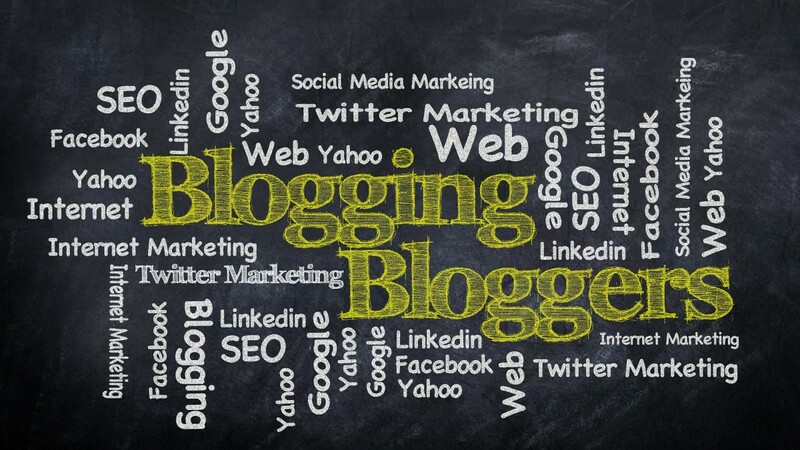 It helps to join blogger groups or other networks to find blogging opportunities and to advertise your own. A few of the commonly used giveaway widgets and what they might cost per month. Rafflecopter allows you to create and launch effective giveaway promotions & sweepstakes across your website, blog, and Facebook page under 5 minutes. Create, run and analyze online giveaways and sweepstakes with tools from PromoSimple. 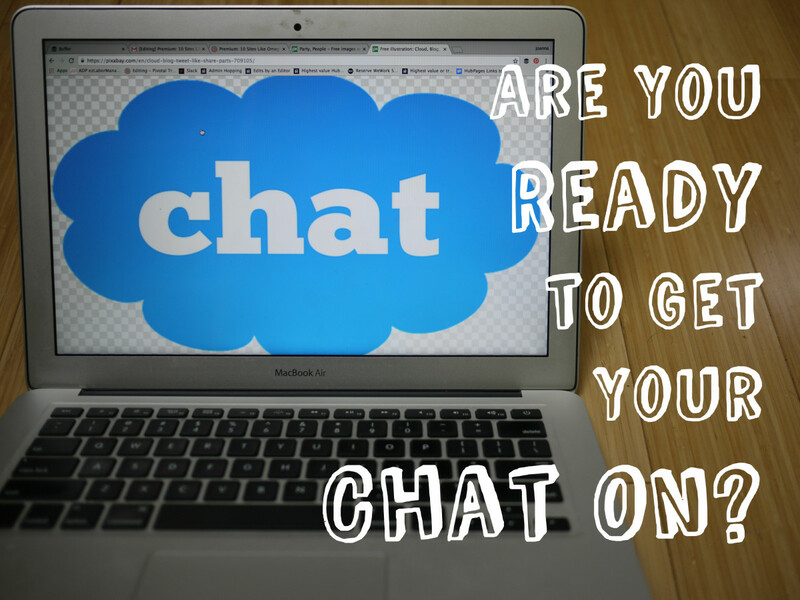 Custom designs, social media integrations and more. Leave a comment on the blog. An easy entry giveaway is one where the reader just has to leave a comment on the blog pertaining to the topic. If you choose to use this method, you'll need to have a way to keep the giveaway fair and choose a random winner. There are several websites that you can use to do this, including Random.org. Some of these sites are paid services, especially if you want the winner to be verified. There are some free services, but your readers will have to trust that you chose the winner randomly. Enter using a giveaway widget. This is the most popular giveaway entry method as it is easy for bloggers to set up, plus the widgets run on their own and choose the winner randomly when the giveaway has ended. Two of the most popular giveaway widgets include Rafflecopter and GiveAway Tools, which ask readers to enter using a variety of tasks that need to be completed. 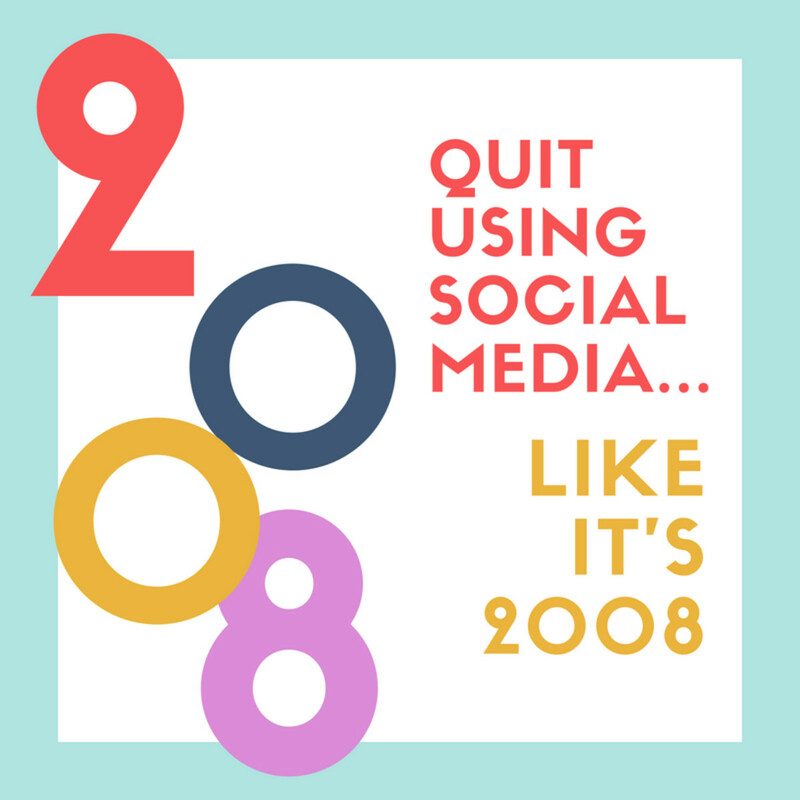 Tasks can be: comments on your blog post, comments on Facebook, follows on Twitter, follows on Pinterest, secret words-of-the-day, 'tweeting' about the giveaway, 'liking' the post on Facebook, etc. The basic versions of these tools are free, but they are limited to only so many kinds of entries. The paid versions give bloggers more options for entries. Important: You cannot ask readers to 'like', share, or tweet as a mandatory entry in order to win the giveaway prize. You cannot ask readers to 'pin this post' as an entry at all. This is against the Terms of Service Agreements from Facebook, Twitter, and Pinterest. You need to include a disclosure that those social media sites are not affiliated with your giveaway or responsible for the results of the giveaway (see disclosure notices below). Whatever entry method you should choose, make sure the entry directions are clear to understand, including information about the required age and location of the entrants (ex. 18+, U.S. only). This can be stated in the post text or in the giveaway widget. Also keep in mind that amount of tasks you ask your readers to complete should coincide with the value of the prize. In other words, you shouldn't ask your readers to follow 50 other bloggers on social media sites when you're only giving away a $5 gift card. READ: As of November 2014, asking people to like your page as a giveaway entry will no longer be permissible on Facebook according to their updated TOS. They can and will shut down pages that do not comply. Be advised! Somewhere in the post, whether in the text about the prize or in the notice in a giveaway widget, you need to tell potential winners what steps they need to take to claim their prize. The standard procedure is to tell your readers that the winning entry will be verified and that the winner must respond to the congratulatory email within a set amount of time (usually 24-48 hours). If the email does not get a response, then a new winner will be chosen. If you read the article How to Write and Publish a Review on a Blog, you know that including a disclosure notice is vital when keeping your blog as honest and law abiding as possible. In fact, the Federal Trade Commission, or FTC, requires that any blog or website that has a working relationship with a brand or company discloses, or announces, that relationship and any compensation acquired from that relationship. Without a disclosure notice, your readers won't know whether or not a company paid you to giveaway an item, paid you to write certain text about the item, or if anything you write is even truthful. A disclosure notice tells your readers that while yes, you may have received an item for free to giveaway, they can trust that you are giving away something that either you yourself has tried or that other credible sources have tried and enjoyed. A disclosure notice on a giveaway post also identifies who is responsible for the giveaway and who is responsible for shipping the prize. If you purchase the prize yourself and you are shipping it, then you need to disclose that information. If a company is holding the prize and will ship it, then you need to tell your audience that the company is responsible for shipping the prize and should be contacted if there are any problems. Be sure to include a disclosure notice at the bottom of your giveaway posts to tell your readers exactly what made the giveaway possible and how they can expect to receive the prize. Once you have set up your giveaway and your post is published, you should consider promoting your giveaway using social media sites. Posting your giveaway once a day on each possible site (Facebook, Twitter, Pinterest, Google +, etc.) should be enough to get the word out and invite people to enter your giveaway. Keep in mind that like anything else on social media sites, multiple posts in one day could be considered spam. If so, you could potentially lose readers and followers who do not appreciate their walls or homepages to be cluttered with your links over and over again. Also remember that if you used a giveaway widget, your giveaway may already be promoted by those who are entering the giveaway. This is especially true if you use entries that encourage your readers to 'like a post' on Facebook or Tweet a link on Twitter. 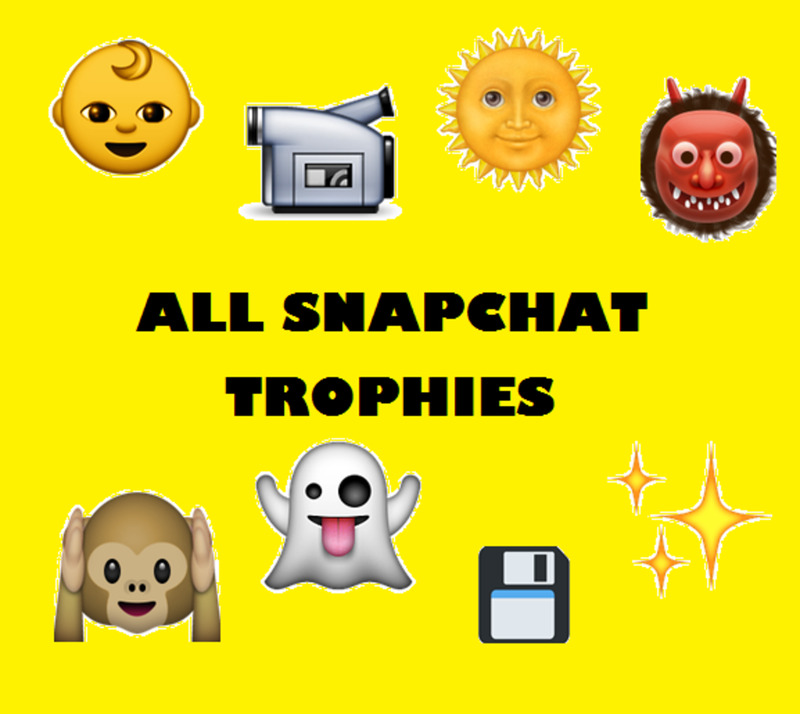 If you'd like to post your giveaway posts every day, use an app like Buffer or Hootesuite, etc. to schedule your posts. That way you're not posting all of the giveaway posts you have all at the same time. Spreading your posts out can ensure that more people will see your links and enter your giveaways. CoSchedule is a drag-and-drop editorial calendar for WordPress. 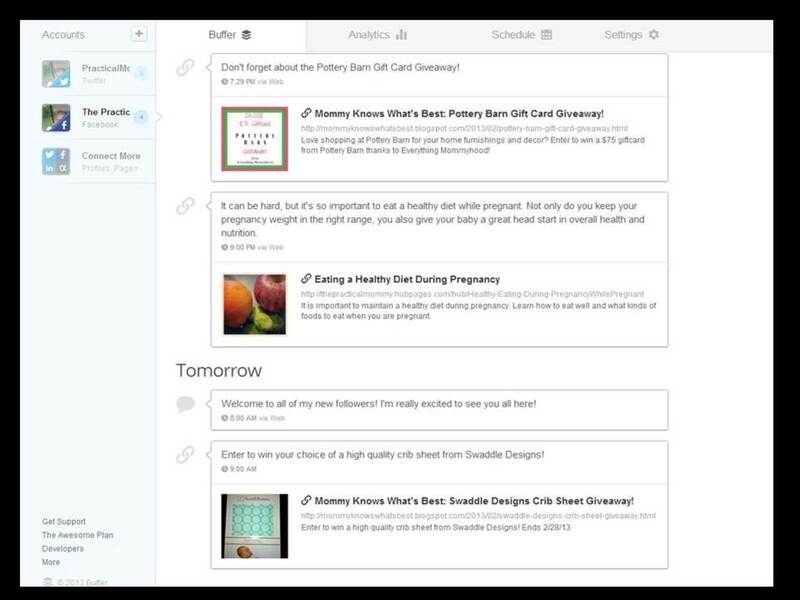 Schedule blog posts with your team and automatically send messages to your social networks. LOVE IT! Once your giveaway has run its course and has ended, it's time to verify and announce the winner. If you use a giveaway widget, you can easily verify all of the entries of the randomly chosen winner by making sure they have successfully completed the tasks. For giveaways where the only entry is a comment, you'll need to make sure that the winner commented appropriately. Don't announce your winner until you have verified the winning entry, you have sent a verification email, and he or she has responded to you. For most giveaways, winners have 24-48 hours to respond to the email you send. If they do not respond, another winner can be chosen randomly. When the winner has been verified and has responded to the email, make sure that you ship out the prize as soon as possible or that you contact the sponsor/company to ship the prize. If possible, provide a tracking code so that the winner knows when to expect the shipment. Many giveaways last about two or more weeks, depending on prize and the sponsor. Be clear about when the giveaway begins and ends, including time zone information. Use clear photos of the item being given away, either from your own camera or from the company. Don't forget to verify the winner before posting the winner's name on your blog. Keep track of your giveaways on a calendar or in a planner. Try not to have too many giveaways going all at once; spread them out to give your blog continuous exposure. Have fun planning and holding your giveaways! Nice article! People loves free stuff, giving out giveaways are such an excellent strategy to attract new customers. I use Woorise to run my giveaways. Thank you for sharing! I was looking for giveaway ideas for my blog. So glad to see this article. Rafflecopter seems to be a very good option. I am going to use it. Thank you for sharing. This is so informative!! Thank you!! I love entering them but never realize what all goes into them! Very good points. As a contest junkie I look for just the things you mentioned. I always check to see if I qualify to enter, when it ends and if the prize is worth my time and energy. My favorite form is GiveAway Tools but Rafflecopter is also OK. Thanks for the great information! I just started a blog, and I'm trying to learn the ropes! 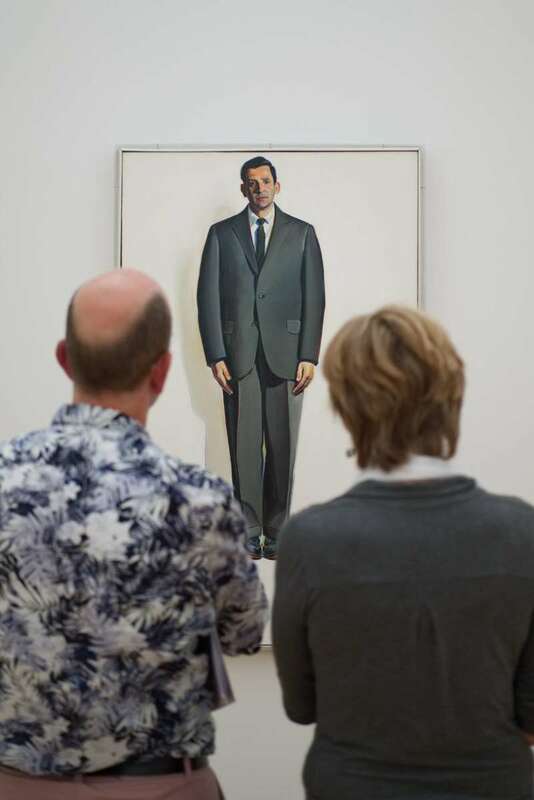 I'm not a blogger, but I liked reading this Hub- feels like getting a behind the scenes look! This is great advice for bloggers! I have been thinking about starting a blog, so this may come in handy if I pursue that passion of mine. I'm teetering on the idea of starting a blog since I keep an online "journal" anyhow. Doing giveaways and reviewing products is something I would like to include on my blog, so both of these articles are and will be very useful to me! These articles are very detailed and informative! Thanks for sharing, Patsybell. I agree that this was a most informative article. I really liked the video inclusion. Such a great article on the subject--these can be wildly successful in terms of views I understand! Really good info! Glad you included info on the disclosure notices. So many are unaware of those legalities. And I didn't know there were giveaway widgets for blogs. Learn something new every day. Thanks for sharing your insight & I'll share the post. Voted up, useful and interesting! PatsyBell, thank you so much for your kind words! Wow, this is the most helpful hub I've read in ages. Voted up, I,A, Sharing, tweet. Tons of well written information! 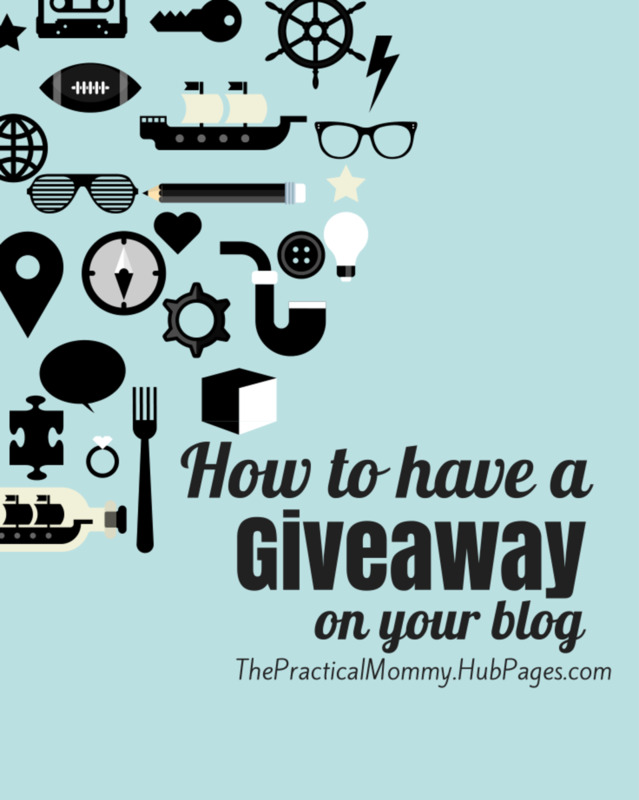 This is great information, now I know just how to host a giveaway on my Blog. I love giveaways. @Sallybea, Hmm, that's a good question. You might want to send HubPages an email to ask. Very useful info. I know this info is relevant to a Blog but could a give-away be applied to a Hub. I have been wondering about this for a while but I cannot find anything in the Learning Center regarding this. I have a new(ish) blog and I've been thinking about doing some sort of giveaway to generate interest and views. Thanks for these tips. This is excellent advice. A giveaway would work very well on one of my blogs. Lots of good food for thought here--thanks! Maggie L., best wishes starting a blog! This is a super useful hub. I don't have a blog yet...that's my next step hopefully. I'm bookmarking this for future reference. Voted up and sharing. Very useful hub! I've thought about doing a giveaway for my blog, but didn't know where to start. Voted up! FanTAStic hub. I am relatively new to blogging (as a result of HubPages, go figure) and I want to do a giveaway...so this is extremely helpful. :) Thanks! Ms Queen Bee, I couldn't agree more that keeping your loyal readers engaged is vital in keeping a blog alive these days. Thanks for reading, commenting, and sharing! This is great. There is an obsession with getting more traffic amongst most bloggers, but keeping those you already have, really engaged is absolutely key. Give aways seems like a fairly cost-effective way of getting traffic. I am going to share this on blogbods as I think it would be useful for bloggers to read about. Thank you for covering every angle. 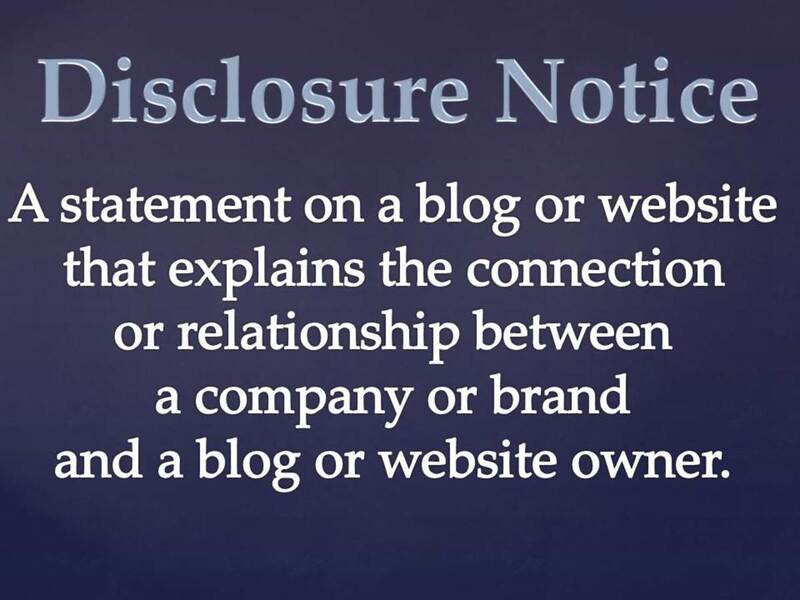 RealHousewife, the disclosure notice is definitely something all bloggers with a working relationship with companies need to have. That was news to me when I started doing reviews and giveaways, but I was glad I found that info and can pass it along! Hey PM...very cool! Thank you so much! I have thought about doing a giveaway on my blog, but felt a bit overwhelmed with trying to figure out how to do it. Thank you so much for this excellent information. Very useful! Shared and voted up and more. Wow, what a comprehensive overview! I agree with Island Tropical that this is very useful. 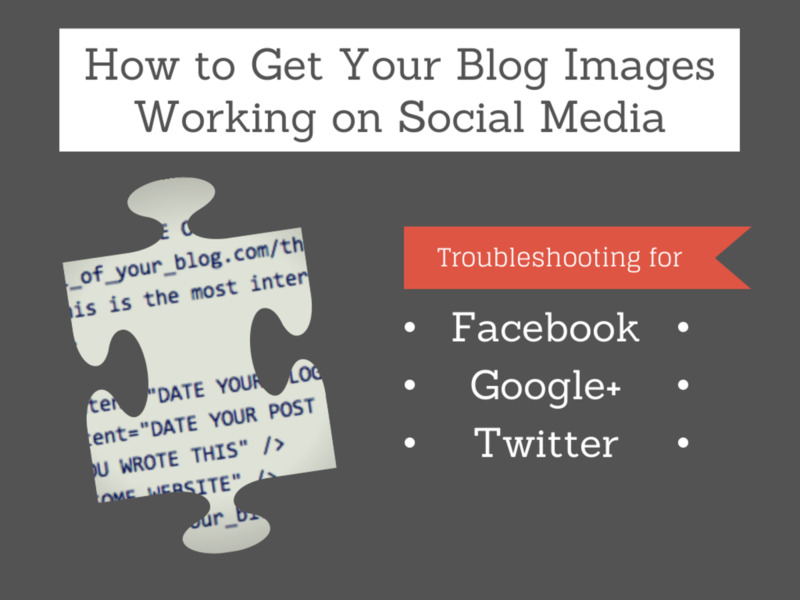 Both veteran and new bloggers will benefit from this information. sarosh kumar, thanks for reading! Island Tropical , glad you found it useful! Thanks for reading!